To gain the methodology required to touch type. To provide CPD Accredited Certification of the skill achieved for potential employers. 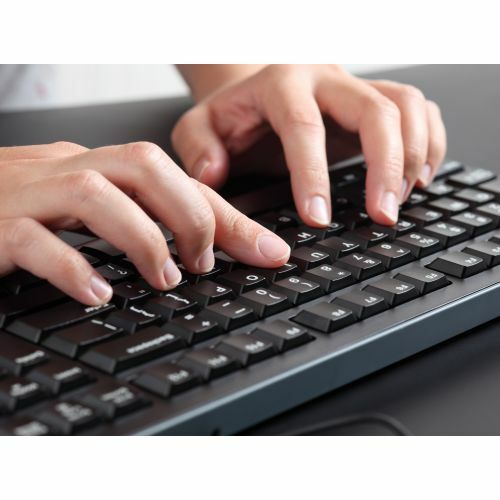 Our Touch Typing Course is very flexible and can fit around a wide range of schedules and requirements. It is taken on an interactive and practical online system. This means that it can be taken at any location that has broadband internet. You are also welcome to use our training centre in London, if you prefer to study in a quiet location. With this course you are entitled to access the centre for one complete 28 day period. The course contains 14 lessons in the methodologies for touch typing. The lessons are highly interactive and they have numerous exercises. This is the core part of the course and it focuses on how best to learn the methods required to touch type. You will also have several advanced lessons in speed building, accuracy building and special keys. Students who have laptops can purchase a standard plugin keyboard. This is better for achieving optimal results on a laptop, as the keyboards are often small. PC or Mac users with standard keyboard should not have any issue with their keyboard size. You will have up to 3 months to complete the lessons and build your typing speed to sit a test and receive CPD Certification. However, if you choose to extend the course for a further three months berfore you test, you can do so for a £25.00 fee. You will actually have access to the software itself for one year. This course is suitable for all levels of ability from beginners to experienced professionals who are looking to refresh or improve their skills. There are no pre-requisites as the course can handle beginners through to experienced typists. Fast and accurate typing speed. Continued access to the programme of one year allows you to continue to build the speed and accuracy.